Shake spray sunscreen well before use. Hold container 4 to 6 inches from the skin to apply. Do not spray directly into face. Spray on hands then apply to face. Apply generously 15 minutes before sun exposure. Reapply sunscreen after 80 minutes of swimming or sweating, immediately after towel drying, at least every 2 hours. Children under 6 months of age: ask a doctor. 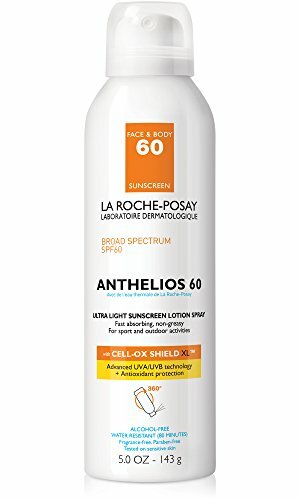 Ingredients: Avobenzone 3% (sunscreen), Homosalate 15% (sunscreen), Octisalate 5% (sunscreen), Octocrylene 7% (sunscreen), Oxybenzone 6% (sunscreen) Inactive Ingredients: Dimethicone, Water, Isododecane, Isononyl Isononanoate, PEG-10 Dimethicone, Styrene/acrylates Copolymer, PEG-30 Dipolyhydroxystearate, Dicaprylyl Carbonate, Trisiloxane, Dimethicone/PEG-10/15 Crosspolymer, Sodium Chloride, Phenoxyethanol, Propylene Flycol, PEG-8 Laurate, Disteardimonium Hectorite, Tocopherol, Disodium EDTA, P-anisic Acid, Diethylhexyl Syringylidenemalonate, Cassia Alata Leaf Extract, Maltodextrin, Propylene Carbonate. If you have any questions about this product by La Roche-Posay, contact us by completing and submitting the form below. If you are looking for a specif part number, please include it with your message.